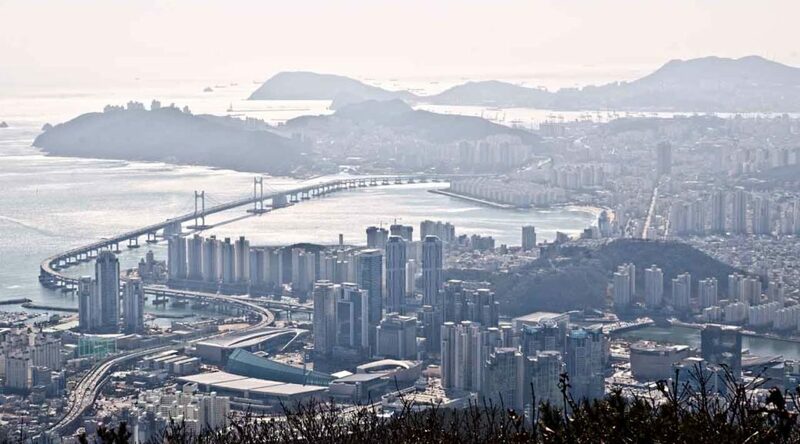 Centum City and Suyeong-gu from Jangsan Mountain. 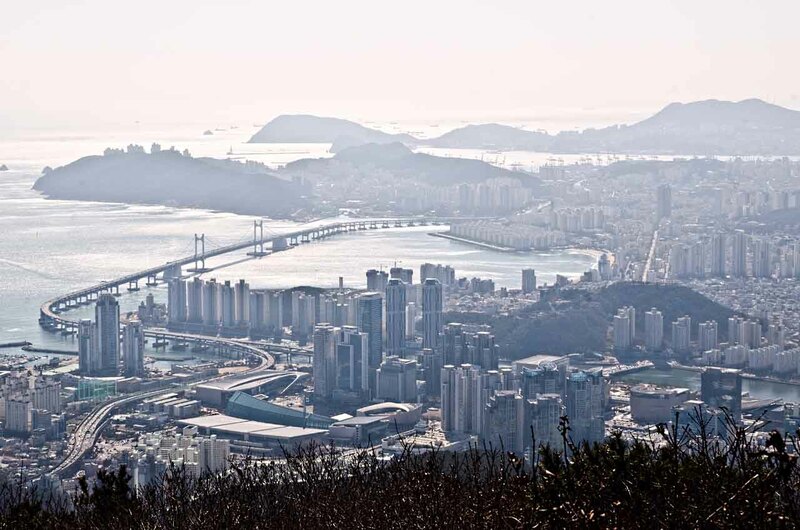 Busan, South Korea. February, 2016.